ChargePro 620 electric vehicle charging stations make it easier for users by eliminating the need to stow charging cord after charging. We’ve listened to EV users and have designed the cable management system to make their electric vehicle charging experience simple and fast. 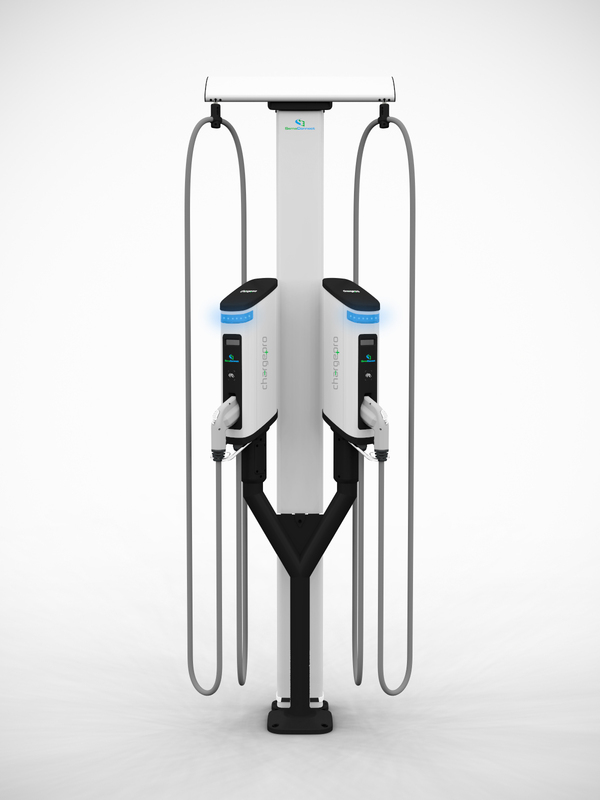 SemaConnect, Inc. announced that its ChargePro 620 electric vehicle charging stations are now available with cable management systems. The system makes it convenient and easy for station owners and electric vehicle drivers to charge their vehicles without having the added task of having to loop and stow the cord back. The system is available for both single and dual pedestal stations. "One concern we have heard from electric vehicle owners is that they don’t like having to place the cord on the rack after charging," said Mark Pastrone, VP of Business Development at SemaConnect. "We’ve listened to EV users and have designed the cable management-system to make their electric vehicle charging experience simple and fast. 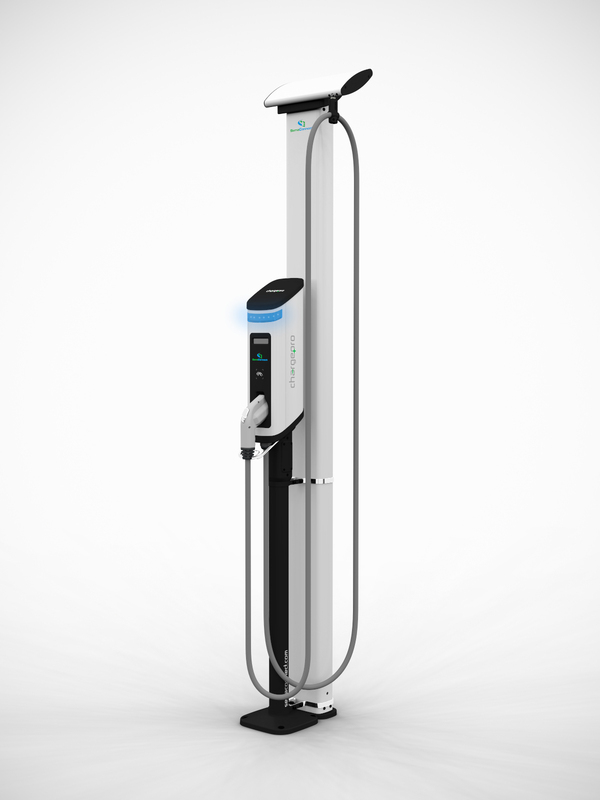 This solution is positive for both property managers and EV drivers because not only does it make the process easier, but it also is designed to keep charging station cables clean and organized for Class A properties." For EV drivers, SemaConnect has an iPhone and Android smart phone app that allows them to manage their charging sessions, search for more stations, and to manage their account. SemaConnect has also partnered with Recargo on their PlugShare app, the most widely used application for electric vehicle drivers, which allows them to start a charging session right from the PlugShare app for more convenience. 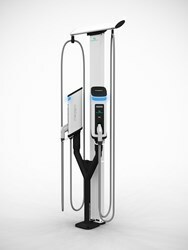 To learn more about SemaConnect, or to purchase a charging station at your location, visit http://www.semaconnect.com or call 1-800-663-5633. SemaConnect is the leading provider of electric vehicle charging solutions and sophisticated software for station owners and electric vehicle drivers. SemaConnect’s ChargePro charging stations are wirelessly networked on their SemaCharge Network and offer advanced features such as smart-grid integration, RFID card authentication, sustainability reporting and more. 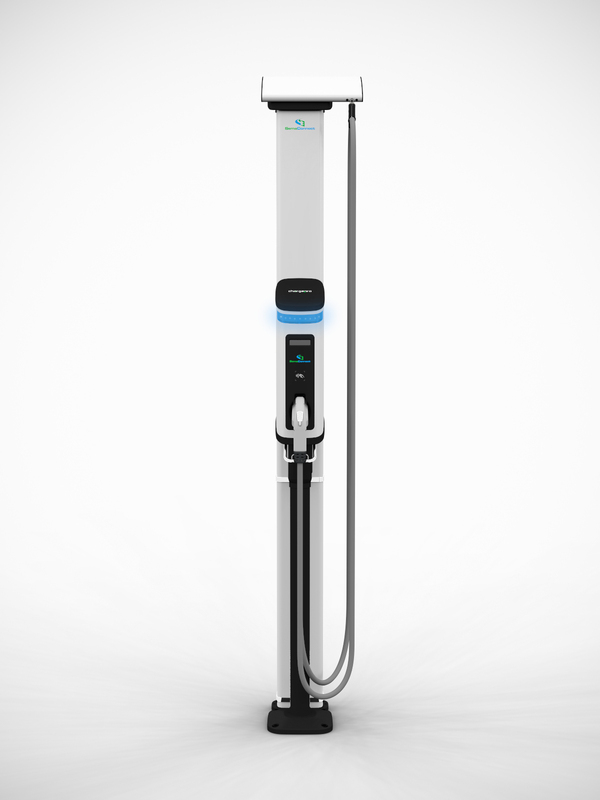 ChargePro stations can be found at municipal, parking multifamily, office, hotel and retail locations nationwide. Visit http://www.semaconnect.com to learn more about owning, managing or using a ChargePro.